How Far is SRS Mile Stone? SRS Mile Stone is located just 3.5 Km from Medavakkam junction and 5 Km from OMR and Sollinganallur Junction. With stilt +2 and 18 flats developed in 3 blocks with 6 flats in each block . 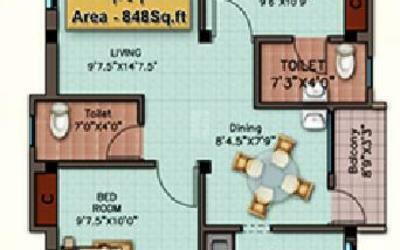 The area of the flats ranges from 530Sq.ft to 850Sq.ft. 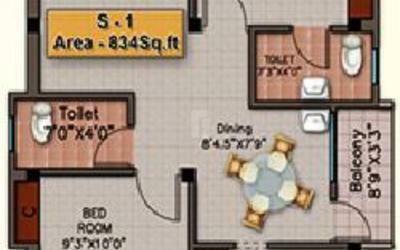 The 1BHK low cost flat starts from 18.22Lacks (All inclusive) and 2BHK flats starts from 20.11Lacks (All inclusive). 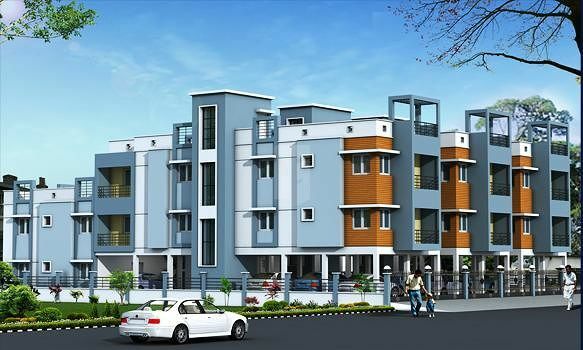 This project provides affordable homes for the middle class people. We M/s. SARVAJITH ROYAL SHELTERS PVT., LTD., (SRS) are in construction field for more than fifteen years and have completed various types of projects with ultimate modern type homes to the fullest satisfaction of our customers providing all their needs. We are headed by visionaries, who have got sound knowledge in the construction field. Our vision is powered and backed by a dedicated team of professionals who strive to make every home as a dream home for the customers. A home that reflects lifestyle of living with integrity, transparency and dedication of our customers. We have always been known for timely delivery and highest standard of quality in our construction.